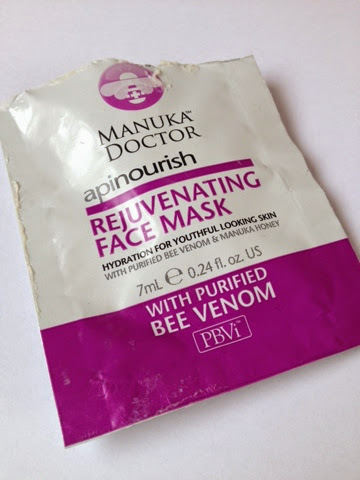 A while a go I posted about a great freebie from Manuka Doctor (the freebie is ongoing but currently out of stock, you can see my original post HERE, and keep your eyes peeled for when more stock is available), today I used the Rejuvenating Face Mask RRP £39.99 for 50ml, you can currently buy it from the Superdrug website for half price at £19.99!!! Apparently the likes of Kate Middleton, Kylie Minogue and Victoria Beckham are fans of this mask! If it's good enough for them then it's good enough for us right? 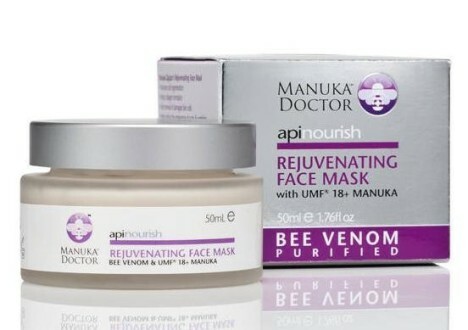 "This deep penetrating skin renewal treatment contains a unique combination of Purified Bee Venom, moisturising UMF 18+ Manuka Honey, Royal Jelly, Rosehip & Blackcurrant oil for a more youthful looking complexion. This unique formulation deeply nourishes the skin, stimulating collagen growth and renewing damaged skin cells, helping to reduce the appearance of fine lines and wrinkles." 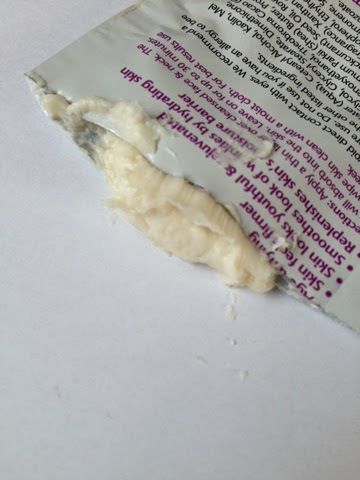 I opened the sachet expecting a typical thick face mask, but this mask is very very different to your regular face masks, the consistency is almost like a creamy balm and you need the smallest amount to cover your face, this 7ml sachet will give me 3/4 uses! 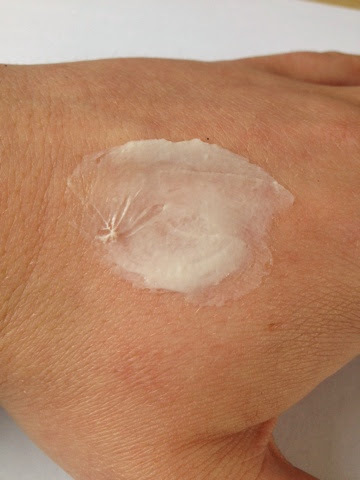 You apply a nice layer to your skin and leave for 30 minutes. Usually with face masks they harden as they dry, where as this face mask soaks in to your skin, it has a nice fresh feeling and smells gorgeous! 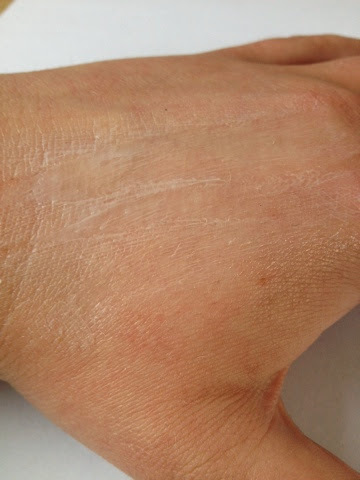 After 30 minutes you simply wash off with a muslin cloth and it leaves you with soft smooth skin, no mess, no fuss! I usually adore face masks but they can be extremely messy to remove if your not in the bath/shower! My skin feels really revived! This mask is meant to be used 2/3 times a week, rejuvenating skin! The product feels really luxurious and I would definitely pay £20 for the full sized version as I know it would last a long time, I just hope Superdrug keep this offer on until pay day as I think £39.99 is slightly out of my price range for a face mask, even though I do really like the product. Have you tried anything from the Manuka Doctor range? Fingers crossed Superdrug still have the offer on when I have some money! Quite pricey but seems worth it! Bargain at half price from Superdrug. The price tag is a bit heavy but if it's that good than it's a worthy investment. I would always pay a bit more for a quality product that is effective. I was looking at this but I was unsure as I didn't want to pay that and not like it! Think I may have to treat myself now!